Why are you Reviewing Me? : I Want New Chairs! My kitchen set is very similar to the one pictured here. Rather than bright white, my table legs and chairs are an antique cream color. My table top and chair seats are not dark wood but rather, a light oak with a butcher block look and feel. And my set is what is called a “high top” meaning it is about 36 inches tall; versus my mother in law’s table that is around 30 inches tall. What I want are new casual dining chairs. My table is in good shape but my chairs are old and tired. They have been through the use and abuse of two children from toddler to teenage years. They have lived through four teething puppies and one move that included a very long drive from Utah to Arizona. 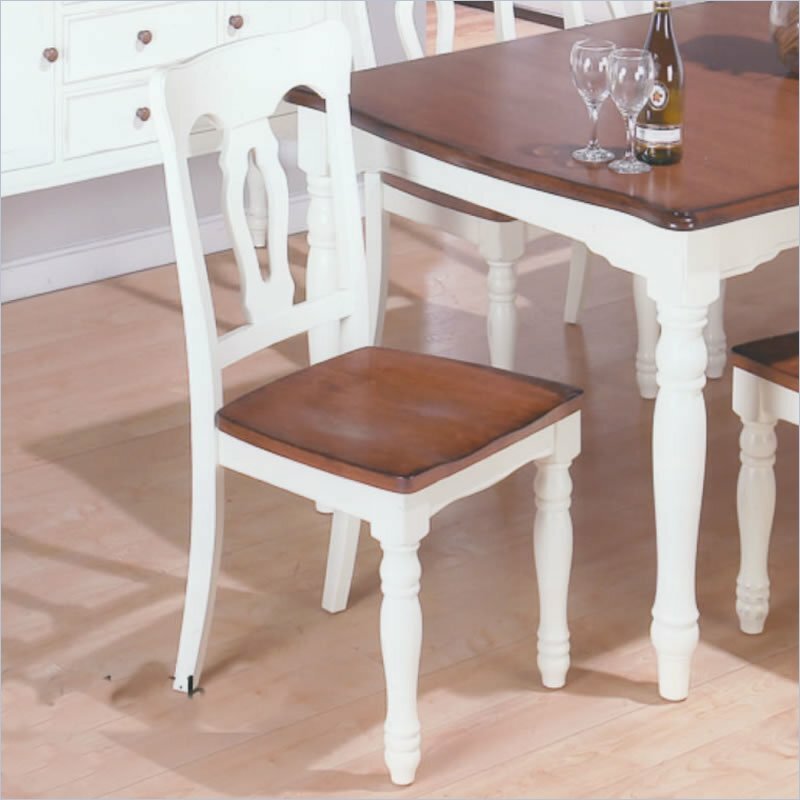 Plus, I like the idea of new side chairs (considerably cheaper than buying a whole new dining set) allowing me to change up the look of my kitchen on a tight budget. Not to mention different chairs would allow me to get some cushions which in turn makes sitting a much more pleasurable experience. As it is now, the height of my table and the height of my chairs does not allow for the crossing of one’s legs, let alone giving any one a small bit of cushion between them and the hard wood. I am totally into decorating on the cheap and there is no better way to brighten up a room than by changing around just a few small things. New chairs and cushions might just take my kitchen to a whole new era in time and I might change the wall color too!